Christopher Bassford, CLAUSEWITZ IN ENGLISH. Chapter 12. That Britain's professional military leaders were exposed to Clausewitz's thought, and quite heavily at that, has been demonstrated already in our discussions of Maude, Murray, Maguire, and Wilkinson, by the uses made of Clausewitz by men who were instructors and commandants at the influential Staff College at Camberley, like Chesney, Maurice, Henderson, and Kiggell, by general staff officers like Repington and Edmonds, and by navalists like Colomb, Thursfield, and Corbett. Lord Roberts clearly had some familiarity with Clausewitz, and it can be demonstrated that at least one wartime chief of the Imperial General Staff (Robertson) had read On War. Given the frequency with which Clausewitz was cited by officers of the general staff and in the theoretical literature of the period, it is odd that he remains unmentioned in major examinations of British war planning. (*2) Perhaps this area needs to be reexamined. Such an examination remains, however, outside the scope of this book. It is certainly incorrect to assert, as did Azar Gat, that in the United States and Great Britain "on the eve of the First World War,... Jomini's dominance remained unchallenged. "(*3) By the beginning of World War One, the importance of Clausewitz was well established among British staff officers and military theorists, although significant references by Americans remained scarce. The attention paid to Clausewitz by crammers like James and Maguire is perhaps the surest proof that Clausewitz was widely discussed. This is not to say that Britain's military writers—much less her soldiers—should be characterized as "Clausewitzians," for all of these writers remained far more eclectic than their continental counterparts. It does mean, however, that Britain was by no means the military-intellectual backwater that it is widely assumed to have been. It is true that many of the British writers just cited complained at great length about the ignorance of—and hostility to—military theory in Britain. Although this accusation is almost certainly correct when applied to Britain's political leadership, it becomes more problematical when applied to the military leadership. It is true that theory was always suspect in British eyes, a point frequently noted by both natives and foreigners. (*4) This is not necessarily a bad thing, given the usefulness of most of the military theory that has appeared over the years. Many of the complaints, however, were motivated by ignorance of—and hostility to—the particular theories held by the complainer. In any case, military theory is rarely popular reading in any country, even among military professionals. The relationship of theory to practice is always problematical, but Britain's military errors during the war can probably be better ascribed to organizational weaknesses (i.e., the newness of the general staff, the influence of class and the old-boy network on promotions, the disruption in leadership occasioned immediately before the war by the "Curragh mutiny," and the smallness of Britain's professional military cadre in the face of massive wartime expansion) than to either stupidity or theoretical naiveté. There are, however, several problems with this interpretation. The first is the problem of correctly identifying those "tags." It is all too easy to see Clausewitz behind every doctrinal bush, and so I have rejected that approach. Clausewitz specifically refused to create a strategic jargon of the sort that makes Jomini's influence so easy to detect, and his complex phrasing does not lend itself to quotation. Many of Clausewitz's British students sought with varying degrees of success to express his ideas in their own terms; often one has to be very sensitive to detect the echoes of Clausewitz even in the writing of so thoroughgoing a Clausewitzian as Wilkinson. If one listens too hard, however, one can hear Clausewitz's voice in almost any argument. Clausewitz's own particular terminology would occasionally appear in wartime writing. For example, Repington's fervent insistence on the "Westerner's" point of view, that is, that resources should not be dribbled away in peripheral operations in places like Gallipoli and Syria, would be couched in terms of the "centre of gravity." His analysis of operations on the Western Front discussed "continuity of operations, tensions and rest. "(*6) These are analytical terms, however, not strategic prescriptions. Those peripheral operations could equally be described in a positive manner using Clausewitz's definition of "economy of force." Corbett, an avid Clausewitzian, was an Easterner, the position later approved by Liddell Hart. Second, Liddell Hart grossly overestimated the extent to which Clausewitz was read and the degree to which his ideas were accepted. He claimed that following the Franco-Prussian War of 1870/71, Clausewitz's "gospel was accepted everywhere as true—and wholly true. All soldiers were quick to swallow it. "(*7) Such was certainly not the case. Liddell Hart himself systematically misrepresented the ideas of Clausewitz and refused to distinguish clearly between the ideas of On War and its alleged misinterpretation by the author's "disciples." Why and how he did so is a problem for Part III of this book. What seems clear, however, is that what Liddell Hart was referring to was the broad influence of the German model and of Foch's school, not that of the native British readers of Clausewitz. He claimed to see Clausewitz in the ideologies of total war and of the offensive as expressed by writers like Goltz, and he refused to acknowledge that in these matters Goltz (and British thinkers like Maude, Haig, and Thursfield) had neither "wholly accepted" nor misunderstood On War. Instead, they had consciously and explicitly rejected key aspects of Clausewitz's teachings. Liddell Hart's comments on Wilkinson, foremost of the native British Clausewitzians, were always positive, and his own views of British strategy were suspiciously similar to Corbett's. To what extent then, can the mind-set with which Britain and America entered the slaughterhouse of World War One be attributed to the specific influence of On War? This is an exceedingly complex problem, and one that I frankly think is beyond the historian's ability to determine. Beyond the fundamental question of the influence of any military theory on actual practice and the fact that the most widely accepted ideas are those most rarely explicitly discussed, Clausewitz's direct influence must be distinguished from the broad influence of German military writing, organization, and practice. Further, we must distinguish between Clausewitz the mature theorist—the writer of On War—and Clausewitz the young military instructor, author of the "Instruction for the Crown Prince." 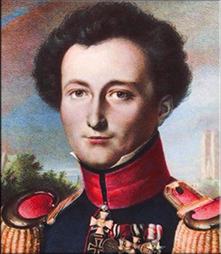 At the doctrinal level, it is easy to find attempts to use Clausewitz's writings, especially his "Instruction for the Crown Prince," as the basis for lists of "principles" and for tactical prescriptions of all kinds. The "Instruction" was readily available in English after 1873; it was a focus of the attention to Clausewitz created by the Russo-Japanese War; and it would be the basis for a trench-going pocketbook by the American Robert M. Johnston, published in 1917. It would not be at all surprising to find elements deriving from the "Instruction" in the Field Service Regulations or other doctrinal materials. That work was much more categorical than On War was in prescribing the destruction of the enemy's army as the objective of strategy. Henderson's discussion of the infantry textbooks appears to show a definition of strategy derived (but significantly different) from On War's. General Haig's edition of the Field Service Regulations refers to "centres of gravity" and uses some other specifically Clausewitzian terminology. As John I. Alger points out in his history of the "principles of war," however, attempts to attribute doctrinal lists of "principles" to Clausewitz are "most misleading. "(*8) No matter how often Clausewitz's name may have been invoked in support of them, he was not their source. Although Clausewitz occasionally discussed "principles," he did so in a manner quite different from the prescriptive laundry lists so common in later British and American doctrinal materials. The problem with this view is that it is impossible to sort out cause from effect and inspiration from predisposition. After all, Clausewitz had set out to write a descriptive theory of war, heavily influenced by the nationalistic warfare of his own era. If subsequent wars matched his description, that in itself tells us only that he was an accurate observer of the phenomenon he discussed. It may well be that Clausewitz's description of military genius had caught on and helped determine key personnel decisions or organizational values, but this would be impossible to demonstrate given the Byzantine manner in which personnel decisions are made and group norms set. The relationship of war and policy and whether the British pursued a rational connection of the sort Clausewitz described is a perplexing question because the meaning of the phrase is so open to debate. Few if any British theorists rejected the connection, however, and Britain did go to war for what were traditional and rational strategic reasons, that is, to prevent the Low Countries from falling into the hands of a strong power and, in pursuit of Britain's policy of centuries, to prevent the establishment of a European hegemony by any single continental nation. The British insistence on total victory may also be considered rational in the light of Brest Litovsk and what Fritz Fischer has revealed about the thinking of the German leadership. (*11) Britain's actions, however, would almost undoubtedly have been the same had Clausewitz never written a word. It has been pointed out with monotonous regularity by the modern proponents of the view of Clausewitz as a "prophet of limited war" that the unyielding determination with which all of the powers pursued an increasingly meaningless victory is antithetical to the rational relationship that Clausewitz suggested be maintained between military and political goals. Unfortunately, the alternative course for any of the individual participants in the war, save possibly Germany, is unclear. (*12) But the British perception (as enunciated by Lord Roberts) that Germany was consciously intent on war and pursuing a rational strategy à la Clausewitz no doubt served to support prewar British suspicions of German intentions. Translated "Clausewitzian" analyses by German writers like Admiral von Maltzahn would have reinforced that impression. The primary factor there, however, was undoubtedly the bellicose behavior of Germany and the bizarre pronouncements of the kaiser. On the specific subject of limited war, the only important British proponent of the idea was Corbett, although he was a significant exception. Murray's Reality of War considered it briefly but preferred to interpret the matter in the same manner as Caemmerer did. This is quite different from most recent interpretations and has nothing to do with Corbett's. Thursfield rejected the possibility as nonsensical. In the event, Wilkinson's and Jean Colin's viewpoint turned out to be the operative one. "Limited war," as it is usually understood (based on Clausewitz's discussion in On War), presupposes a desire for limitation by both sides, as was to be the case in Korea in 1950-53. In the atmosphere of 1914-18, there could be no "limited war" in this sense. A "limited" grab for a thin slice of territory meant an unlimited swipe at the prestige of its owner. No government could stand that would sustain such an attack on its sovereignty and the national honor. No individual actor (theorist, leader, or nation) can stem such a tide, as Wilkinson and Colin had realized. Thus the concept of limited war was seriously examined. Nonetheless it was rejected, based on its examiners' assessment of the "spirit of the age." On the relationship of the attack and the defense, there is nothing but a number of isolated phrases in Clausewitz's works that can be used to support the "ideology of the offensive" that permeated all European armies on the eve of war. (Such isolated phrases include, of course, the one echoed by Jackie Fisher in his celebrated statement that "moderation in war is imbecility!" Where Fisher picked up this tidbit from Clausewitz—if, indeed, he did not think it up himself—is unclear. Fisher seems never to have mentioned Clausewitz in print, and it seems unlikely that this particular idea would have been transmitted by Corbett.) That "ideology" may have been rooted in organizational pressures,(*14) in social Darwinist thought, in practical ignorance deriving from the long European peace, in hubris originating in the easy slaughter of countless native warriors in the colonial wars, or perhaps even in the theories of Jomini, who always stressed the attack. It was not rooted in On War, as its proponents clearly realized. The Western Allies never, in the course of the war, accepted Clausewitz's view that the defensive is the stronger form of war with a negative purpose, perhaps because they were never able to accept that theirs was the negative goal. Their relentless pursuit of the offensive in the face of overwhelming evidence of its futility remains one of the great mysteries of history. To conclude, however, that Clausewitz had had no impact at all on the British conduct of World War One would mean accepting that all of the fervent discussion of Clausewitz carried out by the likes of Chesney, Maurice, Henderson, Maguire, Maude, Murray, Corbett, Repington, and—above all—the influential Wilkinson, had had no consequences. Such a conclusion is obviously unsatisfactory to any academic with aspirations to influence. With that in mind, we should note that Britain's soldiers were probably the least wedded of any of the great powers' to the "ideology of the offensive" in its most extreme forms. They had profited by their experience in South Africa to a considerable extent. After all, it was not the British who went to war in red trousers. The role of theory in this appreciation of the defense, as opposed to that of practical experience, cannot be determined. Still, the British military thinkers were clearly more evenly divided in their views on the relevant aspect of On War than were their continental counterparts, the great majority of whom rejected it. At sea, Jellicoe's cautious handling of the Grand Fleet may well reflect Corbett's interpretation of Clausewitz's theories on offense and defense as they applied to naval warfare. The area in which the influence of Clausewitz in Britain is most visible is in the British approach to military history and military analysis. The teaching of military history at Camberley was certainly influenced by Clausewitz, starting in the 1860s. That tradition, started by Chesney, was continued by Maurice, Henderson, and others. The creation of the Chichele chair in military history at Oxford in 1909 was the culmination of a long campaign by the likes of Maude, Repington, and Wilkinson for the national study of military history, and Wilkinson's inaugural address was little more than a condensation of key themes from On War. Henry Wilson's teaching of military problems at Camberley before the war involved political issues, and L.E. Kiggell's defense of that practice was explicitly Clausewitzian. The British army examination in military history in 1914 was to have been on the subject of the Jena campaign, on which Clausewitz was one of the major commentators. A prominent general staff officer (Edmonds) published a study of Clausewitz and the 1806 campaign just four months before the outbreak of the war. That On War had little impact is nonetheless probably true in the sense of a direct translation of Clausewitz's theories into action, and for reasons that are best explained by Clausewitz himself. The very nature of Clausewitz's theory argues against any obvious practical impact, because it is essentially descriptive, not prescriptive. Clausewitz is very helpful in describing a given situation or in explaining why it exists or existed, and this is of no small value. His usefulness is far less obvious in explaining what specifically to do about it, and this limitation was in fact found appealing by the determinedly empirical, pragmatic, and antitheoretical British military writer. It is no doubt true that specific passages in Clausewitz's works contributed to certain specific actions: The German plans for the invasions of France in 1870 and 1914 surely descend in no little degree from his "Plan of a War Designed to Lead to the Total Defeat of an Enemy." This can be attributed to the fact that Clausewitz was a Prussian staff officer whose work involved practical projects against France. Other passages, particularly Clausewitz's rejection of moderation in principle, were also cited in justification of certain atrocious behavior. Again, there is no reason to think that these actions would not have occurred anyway. They certainly had their precedents in the atrocities perpetrated in the wars that had inspired Clausewitz himself to write. It is possible that the most significant (direct) influence of Clausewitz on British thinking derived from the idea of specificity, that each situation had to be considered on its own terms. To be useful, his concepts must be incorporated into the unconscious repertoire of its user and applied in the specific light of specific situations that Clausewitz did not pretend to foresee. His discussion on that point was always attractive to British thinkers, as it appealed to their instinctive skepticism of theory. The eclectic spirit of Britain's military theorists and their persistence in considering the imperial—rather than the continental—military problem is a better reflection of this aspect of Clausewitz's thought than a heavy-handed adaptation of the arguments of continental theorists like Foch and Bernhardi would have been. Most of the British military writers who actually read Clausewitz for themselves used his theories properly as a basis for analysis rather than as a source of prescriptions. Thus it may be that the most significant impact of Clausewitz's thinking was exactly the opposite of what most modern students of war would expect to see and in many cases do not, thus accounting for the widespread assumption that Clausewitz had gone unread. Far from encouraging the British to adopt the continental model—mass conscript armies and the like—and to seek decisive offensive battle on the fields of Europe, the British perception of Clausewitzian theory may have encouraged them in their natural tendency to focus instead on the unique aspects and specific problems of the British Empire. Until the continental commitment that slowly evolved after 1904, in the face of a strategic situation radically altered by the emergence of the German naval threat, those specifics would have led Britain to reject the continental model. Even Wilkinson rejected peacetime conscription. (His correspondent Lord Roberts, on the other hand, was the leader of the movement favoring it.) Clausewitz's analysis of the dynamics of war was prominent in the arguments of those who rejected the ideology of the offensive, and its proponents were forced explicitly to reject that aspect of his theories. Thus the prewar influence of Clausewitz should perhaps be seen in Britain's resistance to the rush toward Armageddon rather than in the embrace that Liddell Hart described. As to the wider question—implicit in Liddell Hart's complaints—of whether Clausewitz's thought in any of its derivatives was influential in bringing on the slaughter of the First World War, the question is pointless. The various lines of thought descending, evolving, and in many cases radically mutating from Clausewitz's original arguments make absurd any clear cause and effect argument of this kind. Beyond the problems in describing Clausewitz's hydra-headed legacy, it seems clear that Britain's actions, at least, can be more easily explained by reference to traditional British attitudes that were, in themselves, by no means irrational or even necessarily wrong. 1. Shelford Bidwell and Dominick Graham, Fire-Power: British Army Weapons and Theories of War 1904-1945 (London: Allen and Unwin, 1982), 1. 2. Note that John Gooch's important work on the British General Staff and war planning, 1900-1916 (Plans of War), makes almost no mention of Clausewitz, nor is there a single meaningful reference to the philosopher in Paul Kennedy, ed., War Plans of the Great Powers, 1880-1914 (London: George Allen and Unwin, 1979). Insofar as Bidwell and Graham's excellent Fire-Power deals with "theories of war," Clausewitz is conspicuous only by his absence. 3. Gat, Origins of Military Thought, 130. 4. E.g., von Maltzahn, Naval Warfare, 118; V.I. Lenin, "British Pacifism and British Dislike of Theory," Collected Works (Moscow: Progress Publishers, 1964), v.21, 260-269. 5. Liddell Hart, British Way of Warfare, 17. 6. See Repington, "The War Day by Day," Times: "Forces Moral and Material," 8 March 1915, 6; "The Austro-German Offensive—Russian Tenacity," 9 March 1915, 6; "Continuity in War—Clausewitz and the Moderns," 11 March 1915, 6. 7. Liddell Hart, Chapter XII, "Armed Forces and the Art of War: Armies," J.P.T. Bury, ed., The New Cambridge Modern History, Volume X, The Zenith of European Power, 1830-1870 (Cambridge: Cambridge University Press, 1960), 320. 8. John I. Alger, The Quest for Victory: The History of the Principles of War (Westport, CT: Greenwood Press, 1982), 186. 9. Michael Howard, "Influence of Clausewitz," 39. 10. See Spenser Wilkinson, Government and the War. 11. John Wheeler-Bennett, Brest-Litovsk: the Forgotten Peace, March, 1918 (New York: W.W. Norton, 1971 ); Fritz Fischer, Germany's Aims in the First World War (New York: W.W. Norton, 1967); War of Illusions (New York: W.W. Norton, 1973); World Power or Decline: The Controversy Over Germany's Aims in the First World War (New York: W.W.Norton, 1974). 12. During the war, Hans Delbrück suggested alternative ideas for a German political-military strategy based explicitly on Clausewitz's argument. See Arden Bucholz, Hans Delbrück and the German Military Establishment (Iowa City: University of Iowa Press, 1985), 86-119. 13. Colonel C.E. Callwell, Military Operations and Maritime Preponderance (Edinburgh and London: Blackwood, 1905), 180. 14. Barry R. Posen, The Sources of Military Doctrine: France, Britain, and Germany between the World Wars (Ithaca: Cornell University Press, 1984) relates organizational factors and offensive strategies. 15. General Jakob Meckel, quoted in Murray, Reality of War, 7.